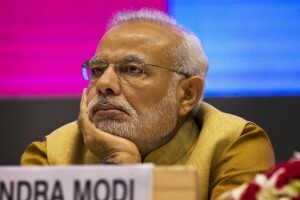 Indian Prime Minister Narendra Modi is visiting the United States this week. In fact, he’s stopping by the White House, and as is customary when a foreign leader or head-of-state stops by 1600 Pennsylvania, the president will pull out the Red Carpet treatment. Pomp. Circumstance. Dignitaries. 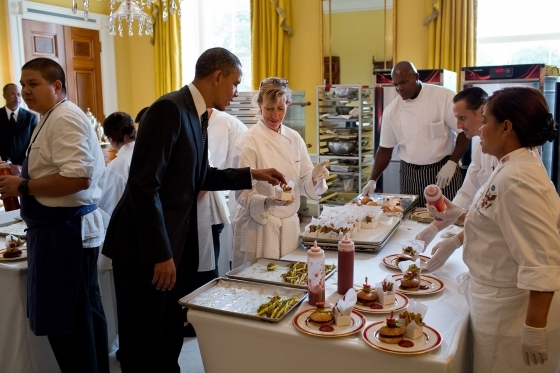 And of course, a White House dinner. While the chef is shopping at the Farmer’s Market in Georgetown preparing a seven-course meal fit for a prime minister, someone may want to inform the White House about one big dilemma. Prime Minister Modi is in the middle of a fast. You know, he’s not eating. At all. Modi, a devout Hindu, is observing the annual nine-day religious fast called Navratri, an auspicious period in the Hindu calendar that also marks the coming of autumn. No, this is not about dietary restrictions. For Modi, it’s a strict no-food fast. So, what’s a president to do? Negotiate? Yes, I have been fasting during Navratri for over 35 years now. This fast is never to seek anything but an act of self-purification. Fasts such as this have been a source of strength, power and inspiration for me over the last many years. Mr. Modi has an ambitious schedule encompassing nearly three dozen engagements in Washington, D.C., and New York, including addressing the United Nations General Assembly on Saturday. According to the Indian Foreign Ministry, the prime minister will meet with a who’s who of political and business leaders, including former President Bill Clinton and former Secretary of State Hillary Clinton; Maryland Gov. Martin O’Malley, New York Gov. Andrew Cuomo and New York City Mayor Bill de Blasio, all Democrats; South Carolina Republican Gov. Nikki Haley, who is Indian-American; and a long list of prominent CEOs. Can he at least drink some coffee? We hear it’s great for productivity.